I should preface this by telling you that I have super oily skin. I’ve been fighting breakouts since I was a teenager and I’ve been at war with scarring for the same amount of time. It’s tough. I’ve literally tried everything to tame my skin, but it wasn’t until I went all natural with my facial regimen that I truly got to know my skin. Anyway, I’ve settled in on an amazingly effective routine, so I thought I’d share. Remember, everyone’s skin is different so you just have to give things a go for about a month before you know if it’s right for you. Like I said, my skin is oily and acne prone. It’s a constant struggle. Recently, I started using apple cider vinegar as a toner and the results have been immediate and fantastic. Sadly, I could still feel that horrible cystic acne under my skin just waiting for the opportunity to take over again. For the last few weeks I’ve added something new into my daily facial care routine. Exfoliating! Every night, I scrub my face with a mixture of baking soda and apple cider vinegar. In a mason jar, I mix baking soda and Bragg’s Apple Cider Vinegar. I basically just eyeball it, but you should start by putting about a 1/4c of baking soda and then just slowly add in your apple cider vinegar until you have a pasty consistency. The mixture will definitely fizz up a lot, so take your time. That’s it! I use my fingers to blend it up a bit before each use. The mixture won’t spoil. It seriously lasts until you run out. Every evening (if you have normal/combination skin start with just once a week), I scoop out about 3 fingertip’s worth of this mixture and gently scrub my face in circular motions. I rinse it off with warm water, and then any remaining residue I wash off with honey. I follow all of this up with ACV toner and my favorite moisturizer (avocado oil). I’m loving the results. My skin hasn’t been this smooth in years. This stuff is so gentle that you can even drink it. 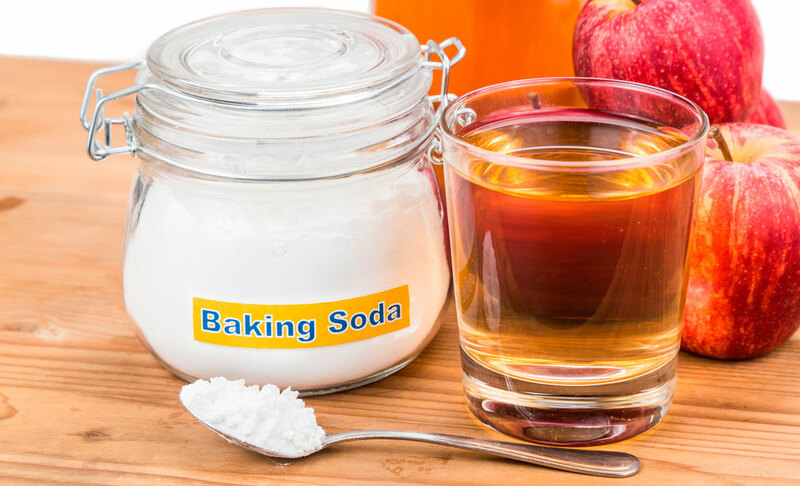 In fact, there are some health benefits to drinking a baking soda/ACV mix that you can read about here.